I have been using this shampoo for a while and although I like the smell I really don’t rate it highly. I don’t use the conditioner which I know lots of people rave about but the shampoo leaves my hair dry and very, very knotty. I was super excited to try this as I love Neom and this smells amazing! It is SLS free as you would expect from Neom so there aren’t quite as many bubbles as I would usually like but there are also no nasties! It is perfect if you are having a real me day or having trouble sleeping as the scent is so relaxing. At £20 it is quite pricey but is the perfect indulgence or great gift too. I really think Kiehls is pretty expensive although they so have some amazing products, this product is okay but I think it simply takes too long to sink in to the skin so I can’t really use it as a day cream. This is compeltely unlike any other perfume I have, it is very citrusy with lemon and tangerine notes as well as having slight vanilla notes. Might not be to everyones taste but worth a sniff if you are looking for something a little different. I’m in two minds about this as I do think it is a good quality buffer but I don’t see how the S shape really helps and it’s a little over priced to. I have been using this for quite a few months now on a daily basis as I don’t use a traditional conditioner. It helps remove any knots and keeps it looking hydrated and healthy without weighing it down. I would highly recommend this for anyone with fine hair. I would say it is a little expensive but worth every penny. This is a really nice cleanser gentle cleanser with only a light scent, it leaves my skin clean without stripping it. I rate this quite highly although I do need quite a bit. 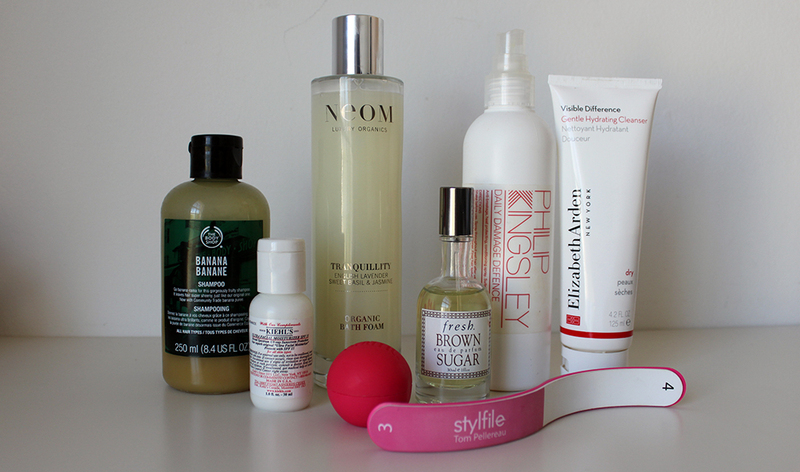 What pampering products are you currently using? 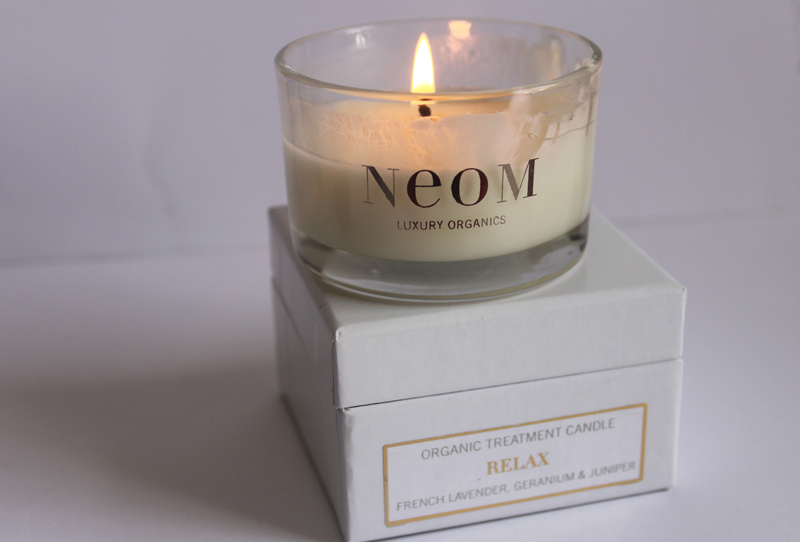 If you follow any beauty bloggers you have probably already heard of Neom (especially as we all like to post pictures of them haha) Organic Candles.I am lucky to currently have two but I have finished another one in the past and I love them! At first I didn’t understand why people spent a lot of money on candles and I thought the cheap IKEA ones were just as good. Trust me, they don’t compare. 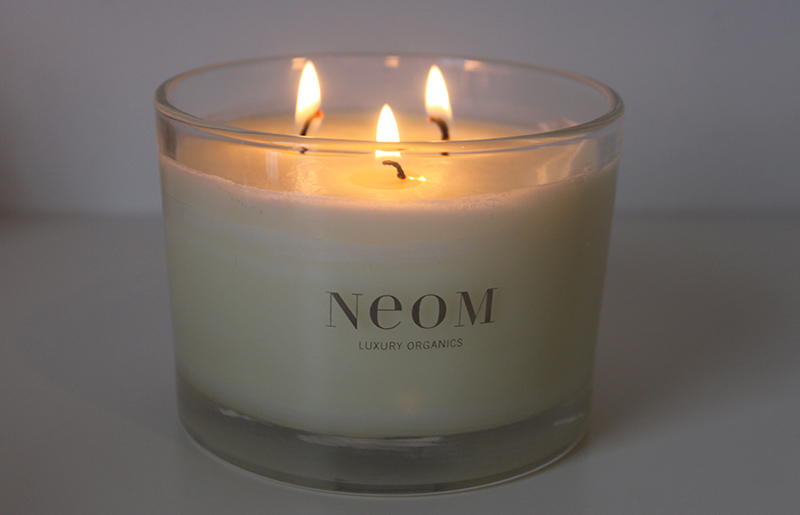 The Neom Candles are 100% Natural made from natural wax and oils which essentially means you are left with nicer non-synthetic scents and no black smoke. 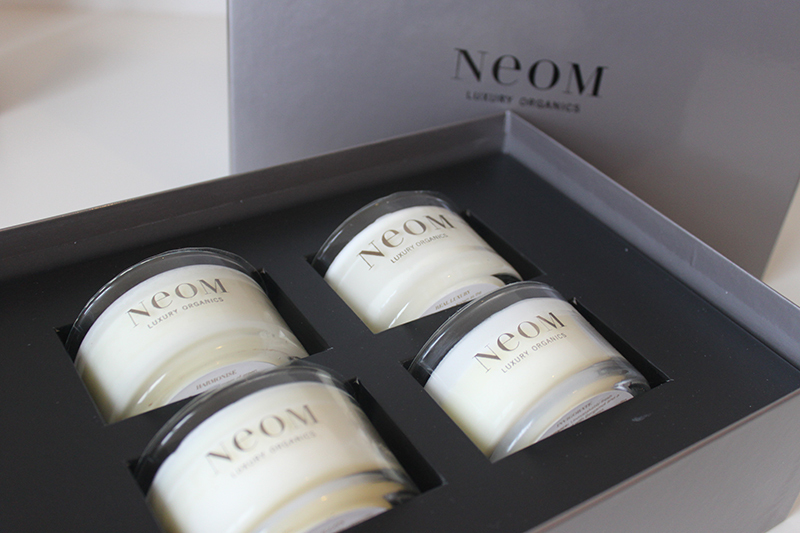 Neom Candles come in three different sizes the travel size with one wick, the home size with three wicks and the Ultimate wick with 4 wicks! I have two of the travel size candles and one of the home size candles all of which come in a variety of scents. 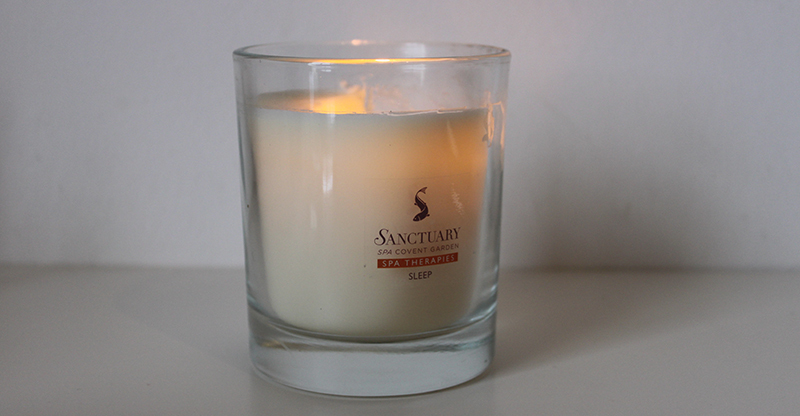 I then have two other candles in a travel size with 1 wick Relax and Serenity. Relax smells of French Lavender, Geranium & Juniper and Serentiy smell of Vanilla & Sandalwood. There really is a scent to suit everyone and I will admit that they are quite pricey compared to most non-organic candles but really worth it! I’m not sure what the official burning time is but I think they actually last really well and even a little better than most other candles I have had. 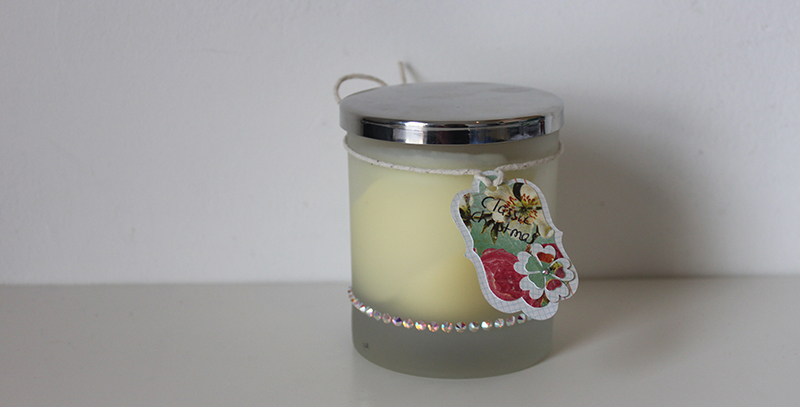 The scent is also much nicer and doesn’t get stuck in your throat as much as cheaper scented candles do. 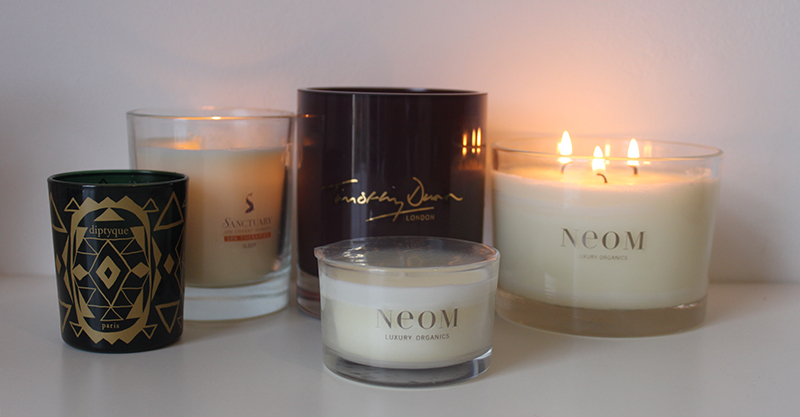 I have only lit one other candle since having tried Neom candle but that candle let of too much black smoke which really put me off! Its funny that I had never realised before hand. I also prefer the travel size over the larger candles partly because they are cheaper and partly because I think the larger ones can be a little over powering in smaller rooms. The Neom Travel Candle retails for an affordable £15, the home candle retails for £39.50 and the Ultimate candle for a rather pricey £160. These candles are by far the best ones I have tried (although I have some exciting ones on my shelf waiting for me to try them!) and would make either a great treat to yourself or a perfect present! 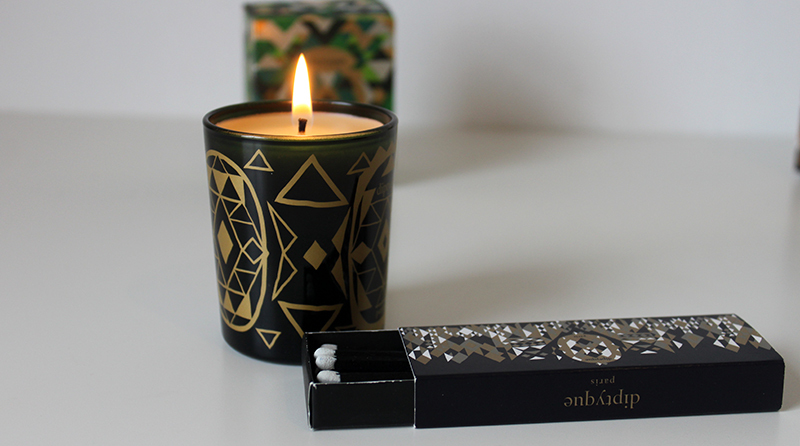 Have you tried any Organic candles?